A special session likely would occur around the time of the annual veto session on Sept. 12. JEFFERSON CITY, Mo. (AP) — Missouri Gov. Mike Parson says he is considering calling the Legislature into a special session next month. 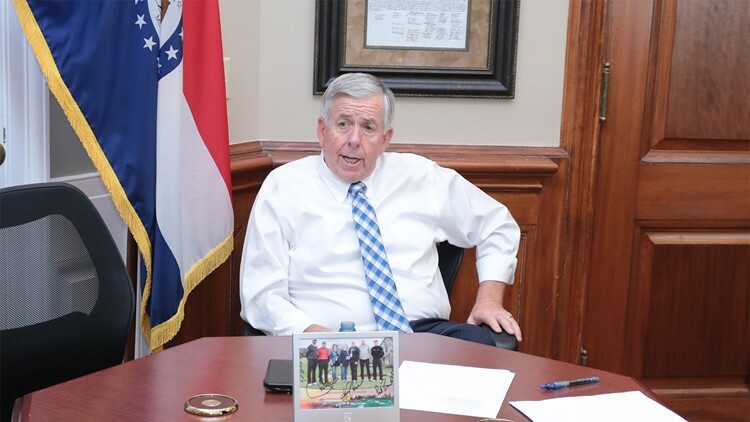 Parson told reporters Monday at the Capitol that he has had discussions with House and Senate members about whether to have a special session and, if so, what topics to address. The governor's comments came after he was asked whether he was considering calling a special session — potentially to include ethics legislation. Some lawmakers are interested in passing their own ethics bill in advance of a November ballot measure that seeks to amend the constitution to limit lobbyist gifts, revamp campaign contribution limits and change the way legislative districts are drawn.